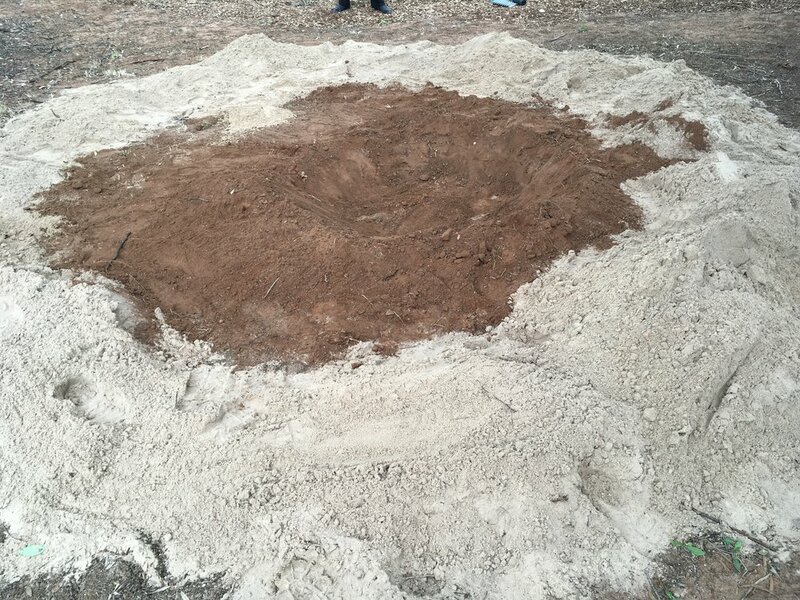 INCUBATOR is an artist led research project in which Forest Keegel will set up an outdoor Laboratory inRainbow's Oasis Desert Garden a former schoolyard. 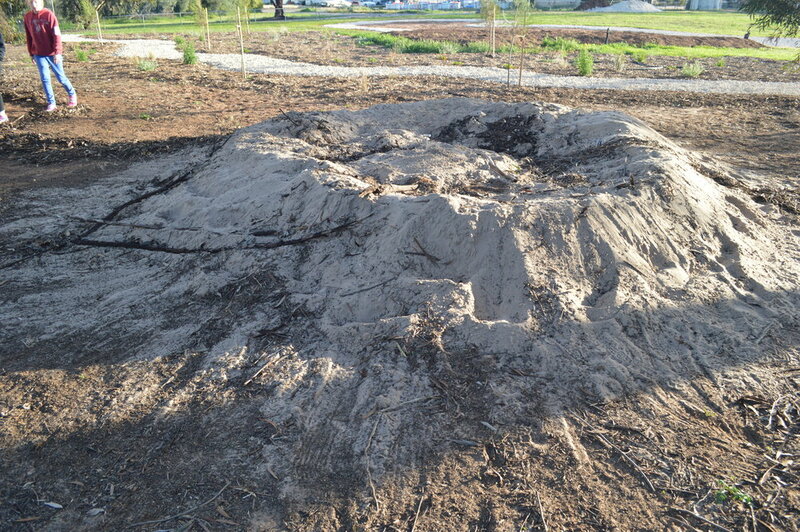 To investigate and replicate a nest mound as made by the endangered Malleefowl: Leipoa ocellata: Lowan. 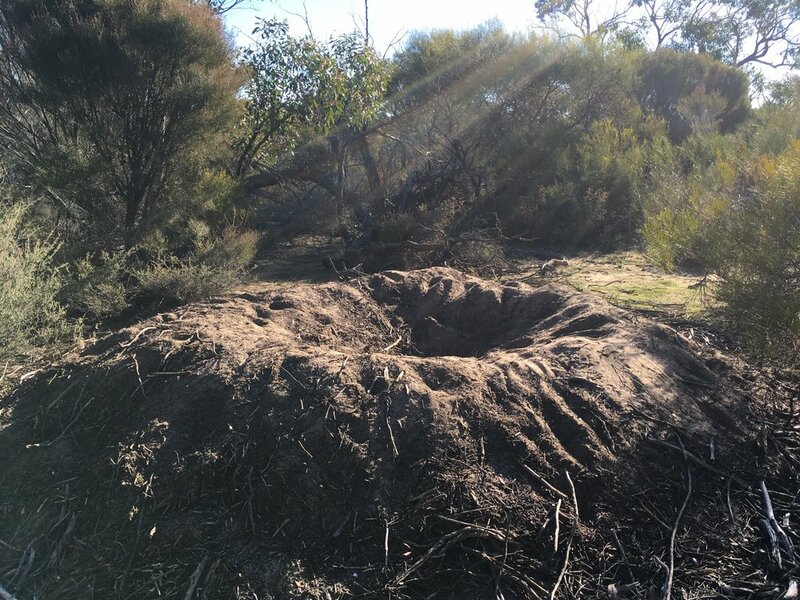 Malleefowl breeding pairs spend considerable time building their mounds to incubate eggs, controlling the temperature through balancing decaying organic matter and sand. 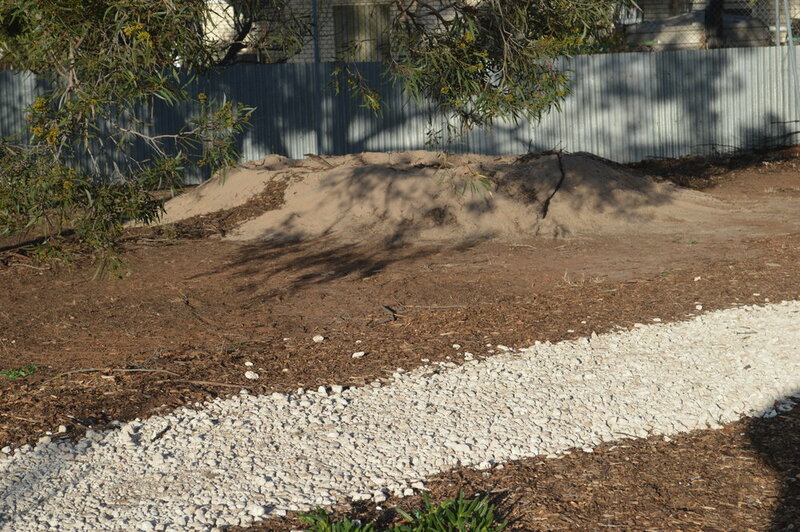 The male uses his beak to sense the temperature in the egg chamber and adjusts the sand accordingly. The chicks are independent from the time of hatching. 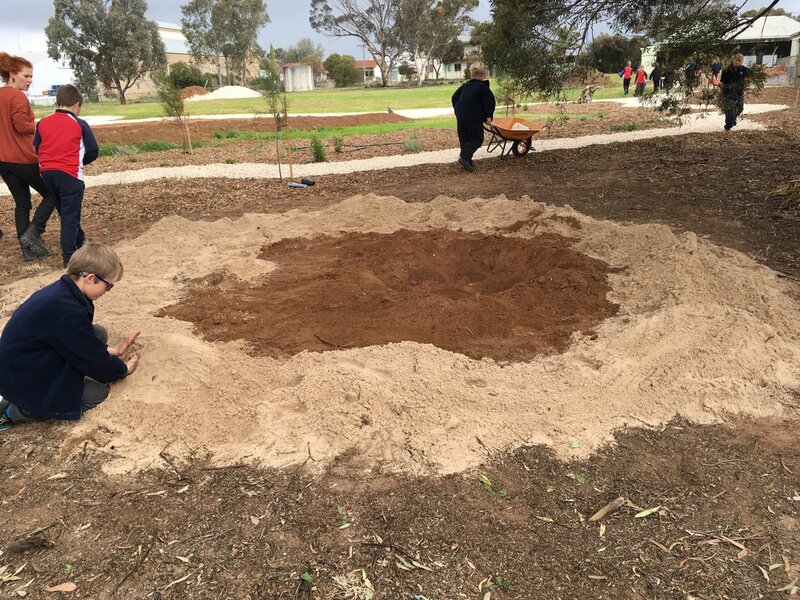 The people of Rainbow and surrounds are invited to participate in building the Malleefowl Mound and ongoing monitoring of the temperature of it’s internal chamber and adjusting sand to keep it at 33 degrees. 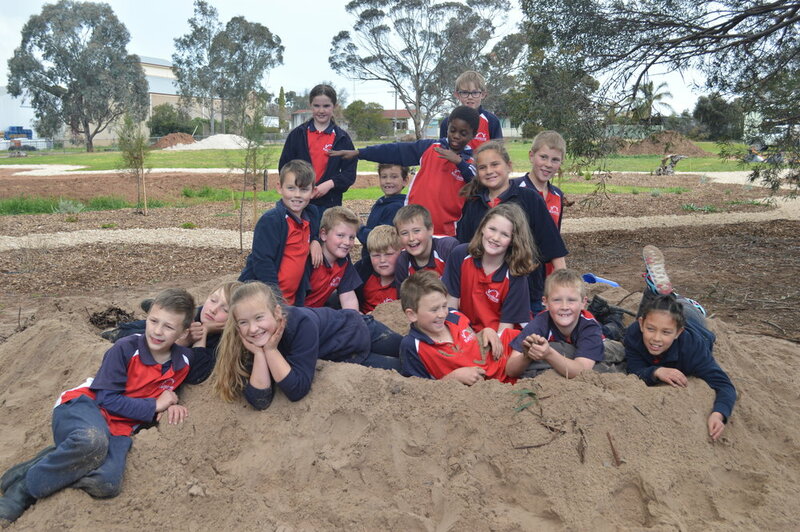 Mound building will occur in the Oasis schoolyard garden from Monday 4 September until Thursday 7 September. 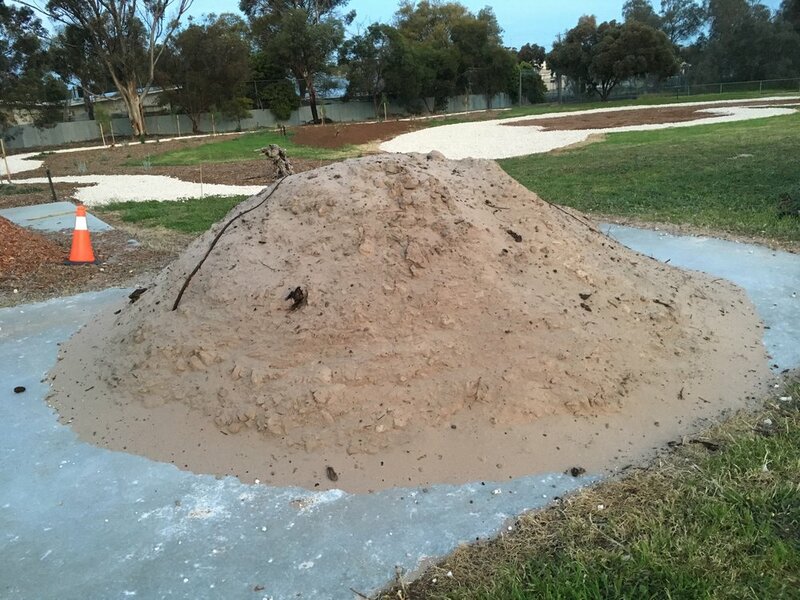 Monitoring temperature of the mound from Thursday 7 September ongoing. Drawing and story sharing workshops at Oasis Wednesday 6th and Friday 8th September 2-7pm drop in for an hour or stay the whole session. 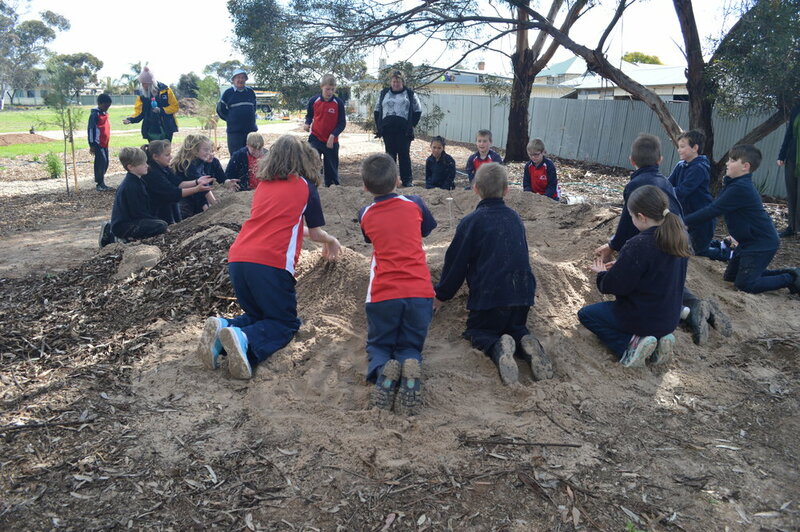 Artworks, photos, craft that depict Malleefowl and their habitat created by the Rainbow community. Drawings of Malleefowl made in workshops. 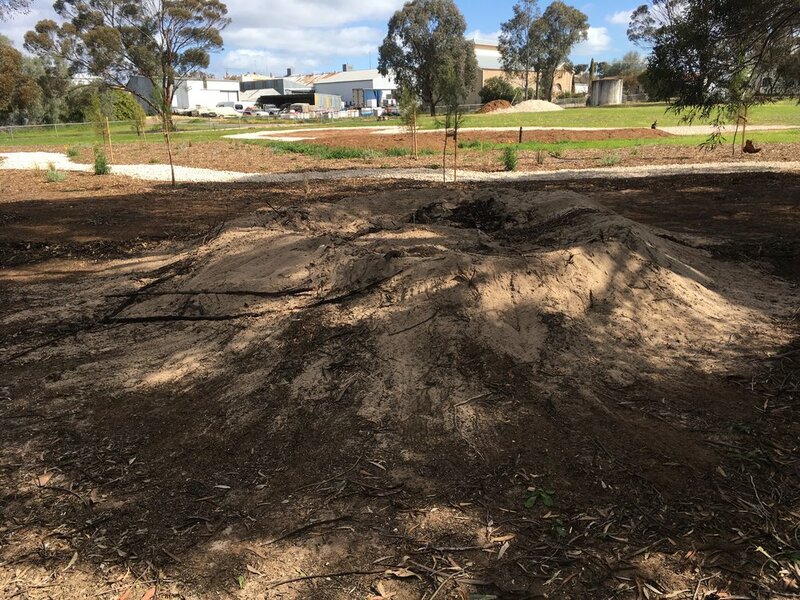 Orchestra of Extinction Cabinet by Forest Keegel- an old radiogram cabinet encrusted with sand stencils of plants from Malleefowl habitat and emanating sounds and images of Malleefowl. 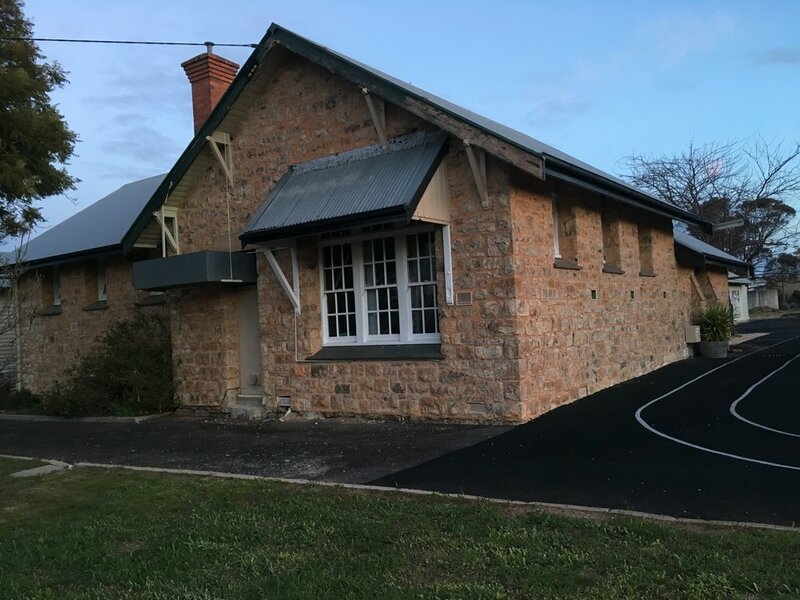 *Art/craft does not have to have anatomically realistic depiction of Malleefowl and can be photos, drawings, painting or craft item that evokes Malleefowl and their habitat.